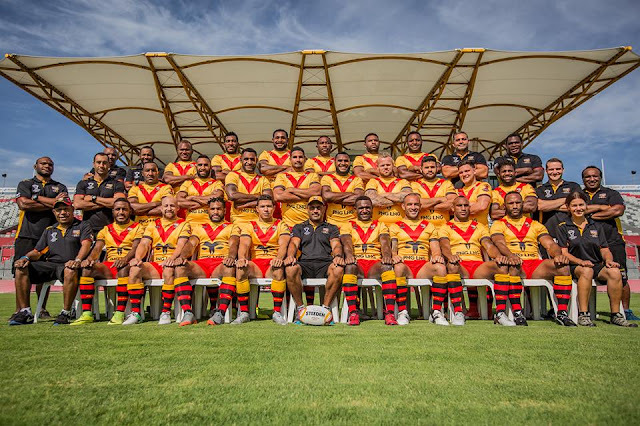 Following the completion of the mid-season internationals and commencement of European qualifying for the 2021 Rugby League World Cup, the latest edition of the RLIF world rankings has been announced. Tonga, after their 38-22 victory over Samoa in the Polynesian Cup have consolidated fourth position – gained after their run to the semi final of the 2017 RLWC – and closed the gap on the three nations above them, leaving their head coach Kristian Woolf calling for more matches against the higher-ranked. “It is affirmation that all the steps taken towards showing the promise of the game for our country and team are being formally recognised,” he said. “Our next steps are to secure more fixtures against the top three countries. England’s win over New Zealand in Denver sets up the three match autumn series between the nations for the Baskerville Shield as a battle for second place, and Ukraine’s win over Malta in European Championship C – South has seen them rise a place as they aim for the next stage of World Cup play offs to be held in 2019. RLIF CEO Nigel Wood commented: “The twice-yearly world rankings not only reflect achievement but also the increased level of rugby league being played across the globe. It is another impetus behind planning more international fixtures and tournaments to cater for the greater demand of nations to test themselves at the highest level. The world rankings are based on a five year period of sanctioned Test matches, with more recent games carrying a greater value. Calculation is also based on the ranking of the opposition faced.